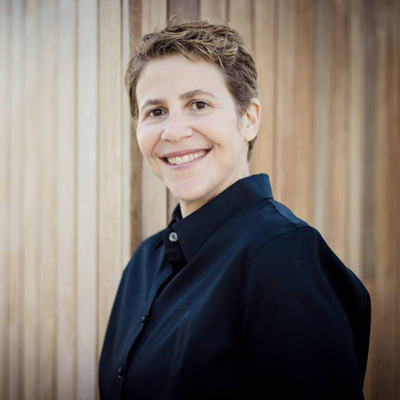 Today, our guest is Amy Sandler. She’s the CMO and coach at Radical Candor and this episode is Work Minus Being Unaware. Hi, Amy. How are you? Hey, Neil. I’m doing great. I’m excited to be here. We’re very excited to have you on. Why don’t you start off telling us a little bit about what Radical Candor is and what your role is? I’d be happy to. Radical Candor is an executive education company that’s based on the bestselling book by Kim Scott called “Radical Candor.” They share the same name and I think the full title is “How to be a Kickass Boss Without Losing your Humanity,” which I think is probably where your audience might be interested in some of that. And at its core, Radical Candor is actually a really simple idea that if you can put into practice can help you really do the best work of your lives, and I think even more important, too, to build the best relationships of your career. It’s really about people being able to communicate in ways where they feel seen and supported so that we can actually get more done together than we could do on our own. So, the principles are that we’re going to care about the people we work with as real actual human beings, so care personally, while at the same time, being willing to challenge them directly. So, care personally, challenge directly, that’s really the foundation of Radical Candor. And often, what happens, though, in our conversations with our team, we might end up missing one of those categories. So, we might be challenging without caring, we might be caring without challenging, that’s where a lot of mistakes get made. Kim has called that ruinous empathy. Or sometimes we’re just totally checked out, we neither care nor challenge. So, the sweet spot that we’re really all driving towards is caring personally and challenging directly. And the book is amazing. The principles in the book are great and the stories are even more impactful to hear about her experiences with all these big companies, Facebook and Google and Apple and everything is there. So, if you haven’t read the book, make sure to check that out first. But Amy, go ahead and tell us about what you do with Radical Candor. Sure. So, I wear a few different hats, like so many of us do. One hat is Chief Marketing Officer, really looking at the content of Radical Candor in terms of things like our website. There’s a podcast that’s currently on pause as Kim is working on her second book. But people love the podcast so that’s something we look to bring out at the end of the year. But really helping tell the story of Radical Candor, and as you mentioned, in the book, so many great stories. We’re big believers in storytelling. And so, that’s one hat on the sort of marketing and content side, looking at also different workshop content development. And then I’m very hands-on. I will often be traveling around the country and actually around the world sharing with teams and leaders Radical Candor through workshops and keynotes as well. So, it keeps me busy, keeps me engaged. And just like mindfulness, I teach Radical Candor because it helps me. I learned so much more just by continuing to teach it. And you actually used the term there that we want to get into deeper about mindfulness. That’s also another specialty of yours. So, tell us about mindfulness and how you got into that. This has been an ongoing sort of initiative of mine. I actually started first studying meditation when I was at Harvard College as an undergrad a long time ago and it was one of those things I sort of was interested in. I thought maybe if I put a few books under my pillow something would take. It turned out it required a little bit more than that. I started going on retreats. I would have these wonderful moments in the weekend and then all of a sudden I’d get back to my job on a Monday and the stress would come in and whatever sort of sense of peace and calm I had went out the window. And I realized I needed to develop a really disciplined, daily practice. And so, probably for the last 10, 12 years, my kind of on and off practice became a very disciplined practice culminating really in becoming a teacher of mindfulness, specifically in organizations. So, in 2014, I was one of the first 30 certified teachers of a program out of Google called “Search Inside Yourself,” which really brought together mindfulness, neuroscience, and emotional intelligence, so how can we use mindfulness to be better leaders. And so, that’s what I’ve spent a lot of time the past few years teaching leaders from large organizations, small organizations, really around the world helping them use these tools to develop their leadership skills. What’s the overlap between Radical Candor and mindfulness training? Is it kind of two separate ideas or do they integrate together pretty well? You know, it’s a great question. I’m actually, with a few organizations, have been bringing them both together. When you look at what you need to practice Radical Candor, so in other words, what are some of the sort of underlying competencies, these are things like self awareness, empathy, how to deal with difficult emotions, sort of self management. And these are all practices that we can cultivate through mindfulness. So, what I have found is that the resilience and the different skills that you can develop through mindfulness, this is going to help you in your practice of Radical Candor because it’s one of these things that’s really simple to understand but hard to put in practice because all of a sudden there’s a person sitting across from you, maybe they’re giving you some challenging feedback, and we have this negativity bias, and all of a sudden, they say, “We made a mistake on a presentation,” and we go right from that data point and we start to tell the whole story about ourselves about that means we’re a terrible person and we’re going to get fired and all of these stories. You gave the example of criticism being a common difficult emotion, especially people in management and leading teams are going to face. What are some of those other difficult emotions that people need some of these tools to be able to process? So, first of all, yes, most of us do not like to receive criticism. It sets off the part in our brain called the amygdala which is the prehistoric part of our brain that all of a sudden we feel like our whole survival is being threatened, when in fact, it was just an email that said, “Where is the report?” But our body is reacting like it’s a sabertooth tiger coming at us. So, yes, that’s definitely one of them. But the other thing is we don’t want to hurt people’s feelings, right? I mean, we’ve been taught since we were, I don’t know, 18 months old or so, you know, if you don’t have anything nice to say, don’t say anything at all. And we really don’t want to hurt people’s feelings, which is coming from a lovely place, but what happens in the workplace is that we avoid saying the very things that our team members need to know to grow. So, if we don’t share with them the mistakes that they’re making, there’s no way that they’re going to be able to grow and improve. We all have blind spots and so what we’re trying to do is help sort of shine a mirror, and first of all, for what’s actually working really well. This is for praise as well as criticism. So, we want to move in a direction of continuing to do the things that are working well but let’s unpack in a very specific way what was it you did that lead to the success of that project. So, Radical Candor applies to both praise as well as criticism and it needs to be very specific and sincere. I find it kind of fascinating that the first example of criticism we’re dealing with all these carnal base emotions of fight or flight reflexes that are there and then we add in this other example of we don’t want to hurt someone else’s feelings which doesn’t seem as prehistoric of an emotion that was there. So, how does Radical Candor and mindfulness bridge these two worlds of kind of our base human mindset and also some of these new feelings we have to have if we’re going to be able to be effective in the modern world? It’s a great question. I would say what we’re tapping into as well is the part of our brain that’s sort of this friend or foe part of our brain, you’re sort of with me or you’re against me, and a foundational part of Radical Candor is that we need to care about the people we work with as real human beings. But what happens is that we start to other people. So, for example, you’re the sales team, I’m the marketing team, you know, you’re maybe not as smart as me or you’re not looking out for my best interests. We do this all the time. We do this whether it’s around sports teams or political affiliations, it’s me versus you. This is just as intrinsic to us as that sort of fight or flight kind of thing and at leads to some very damaging behavior. So, we, at the very minimum, need to see the people that we work with as other human beings, maybe even actually learn to love them. I mean, not in a sort of HR debacle way of love, but really see these are real human beings kind of doing the best they can. And so, with both Radical Candor and with mindfulness, I think the foundational piece is really about curiosity. So, you’re coming to me with a problem and I can start to unpack, you know, what’s happening here, why are you upset, you know, how can I help. Asking questions is a really great way to sort of get underneath it and counteract our tending to defensiveness or judgment. I was in a mindfulness workshop and the leader of the group said to me something that I’ll always remember, that you can’t hold both curiosity and judgments at the same time and I thought that was just so beautifully put. That if we want to really get to an even better solution, if we want to collaborate, coming from a place of curiosity and mindfulness cultivates that initial curiosity with ourselves. In fact, the definition of mindfulness is that we’re paying attention to what’s happening in the present moment, so in our mind, in our body, and sort of all around us, the external environment, and there’s an attitude we have of curiosity and kindness and it’s that attitude of curiosity and kindness that we’re also cultivating. I have a question about when you’re talking about othering people, feeling like you’re trying to create this group, I think we can all agree that there’s really bad consequences to that, but are there helpful consequences to that in the sense of forming some kind of healthy competition of saying, “Okay. Yeah. They’re the marketing team, we don’t like them as much, but not really, we’re just kind of pretending like that,” or this feeling of circling the wagons to say, “Okay. You’re part of our tribe so we’re going to take care of you more than somebody else.” Are there good sides to that or is it always bad to other people? There’s so much research out there about how we become better leaders through emotional intelligence. Most of the top traits of top leaders, I think five out of seven, are emotional intelligence traits rather than sort of more traditional IQ traits. So, it’s the emotional intelligence that’s going to take you over the edge and mindfulness is going to help improve your focus, improve your creativity. So, we’re not saying that you’re going to be less effective. In fact, it’s going to support better performance. So, part of it’s a little bit of a reframe of what we mean by performance, competition, etc. These are things that are going to actually help us and also help us develop more collaborative relationships. I mean, think about the people that you’re wanting to do more with. I’ll share a quick story which is that, you know, I travel all over the world. I’ve never missed a workshop. I was in Toronto. The airport was closed because of weather. I had to get to Boise, Idaho, and there was no way I was going to get there for two sessions the following day and I had to call the leader of the group, and you know, I was so worried. I felt so badly. First thing he said to me was, “Don’t worry about it. Your safety is the most important thing. Take care of yourself.” And he really meant it, and in doing that, he started to build a relationship with me based on care, and I jumped through all the hoops I could to get there. I actually was able to do his afternoon workshop. And so, our philosophy is that, you know, when we’re working with human beings, we’re not yet robots. If we don’t take into account the emotions, who that person is, where they want to grow, we’re not going to work with them in a manner that’s as effective as we could be if we saw them as full human beings. That’s a great story. Let’s talk about the benefits of awareness, of being able to step back, have the curiosity about ourselves. I think most people that are eager to change their teams, they see the benefits right away, you’ve talked about some of them already, but what about somebody who they’re trying to sell this up the ladder. They need approval from somebody else. They’re in more of a traditional or legacy organization that sees this as something else that is not to be touched. What are some ways that you can communicate the benefits of awareness in a business context? It’s such a great question and it’s amazing how even in just a few years there’s so much more visibility into the benefits, even just five years ago when I went through the training program, part of why I did the “Search Inside Yourself” program was, first of all, it appealed to me that, hey, we’re going to actually look at the neuroscience behind mindfulness. This isn’t just sort of new age mumbo jumbo. There’s actually a lot of science behind these very ancient techniques because we now have things like FMRIs and ability to actually look into what’s happening in the brain when we’re doing these practices. So, the neuroscience is amazing. What the neuroscience shows is that we can actually change both the structure, the actual gray matter, as well as the function of the brain by doing these practices. It’s kind of amazing. And so, you know, there’s obviously, with all of this, a degree of humility about the science, but there’s been this explosion of research around the benefit. So, I find that is something that’s very beneficial. This is why when I go to executive groups, specifically around mindfulness, showing them the science, showing them the number of companies that are starting to bring these practices in and the benefits they’ve seen, for example, I believe Aetna, they had a mindfulness and a yoga program, and they’ve reported saving I believe there’s like $3,000 per employee per year as a result of not having absenteeism. So, actually seeing the research in terms of improved performance, improved productivity, can be very beneficial. You know, we think about like sort of physical exercise you can notice, “Oh, my bicep is getting stronger. I’m feeling different in my clothes.” It’s a little harder for us to see the impact. One of the best ways to see the impact of these practices is actually the people around you and they will start to notice, oh, you’re pausing before reacting, you know, something that might have set you off and you would’ve started yelling, you’re actually creating a little bit more space. You’re asking a question rather than going right to a judgment. You’re listening more. You’re coming up with some more creative solutions. And you’ll notice yourself, of course, in those things that are most important to you, so whether it’s more sleep or more effective sleep, more focused, these kinds of things. It it all depends on where you’re wanting to improve and what your intention is. When you talk about teams that are coming together and that have done these programs, Radical Candor and mindfulness, how does their communication and language change after going through this? What are the types of things they talk about differently? How do they reframe their questions in meetings and discussions? What are some of the differences you see? It’s a great question and you said something that’s really important which is this idea of a shared language. And so, again, this sort of goes to this othering. I think part of what’s helpful when we do a training is that we give people a shared language. So, from a Radical Candor perspective, we’ve kind of walked them through the different quadrants and by quadrants I mean Radical Candor is when you’re caring and you’re challenging. It’s almost that it’s a compass to guide conversations. We’re all going to make mistakes. So, one mistake is we’re challenging without caring, that’s obnoxious aggression. Kim was originally going to call this a less polite term but basically it’s when we’re acting like jerks, and what happens is people start putting people in boxes, again, this othering. “Oh, this person’s a jerk. This person’s a jerk.” No, we’ve all acted like jerks. We’ve all challenged without caring. So, we want to move up more on the caring. We have manipulative insincerity is one where neither caring nor challenging. This is where it’s really fun to tell stories like this at cocktail parties but it’s super toxic. It’s saying, you know, “”Hey, you’re doing such a great job,” and then you turn to the person next to you saying, you know, “Oh, my god, what a piece of crap,” you know, that kind of stuff and ruinous empathy. So, people walk away from these workshops having a shared language that they can then put into their own words. You know, my intention was to be kind and clear but a key part of all of this that I really want to emphasize is that Radical Candor and really everything is measured not at the speaker’s mouth but at the listener’s ear. So, there’s this really important idea of kind of looking at impact versus intention. My intention was to be kind and clear with you but how did it land? You might have heard it in a very different way, and so, these relationships, they really need to be, first, very one to one relationships that I need to know you well enough to know what is challenging feel like for you, what is caring feel like for you. We all are different people and so part of what we have folks do in the Radical Candor session is have them identify through their own stories, you know, oh, caring personally to me means that they took the time to share with me the feedback. They were invested in my success and when I feel like someone is really looking out for my best interest, that’s what caring personally feels like, and when people are coming at it from that place, even if they say the words a little imperfectly or it was maybe a little awkward, what’s more important is they felt that connection and where it was coming from. Amy, I’m taking a lot of just personal takeaways from all this, talking about the difference between curiosity and judgment was a big theme that I felt that you talked about a lot, recognizing that we need to just be curious about our own emotions, about whatever someone else is coming to us with, not just jumping to a judgment. But then also the theme of realizing that the impact of all these things we’re talking about is really felt not so much on, “I feel like I’m I’m more impactful,” but on how somebody else perceives me from that aspect which is very, you know, what we want is the outcome that somebody else feels more cared for but also feels that we’re holding them accountable for things as well, too. So, these are great themes to bring about. Anything else you can leave us with? Yeah. I love this idea of curiosity and first starting with yourself and so noticing part of a mindfulness practice is really just noticing what’s happening for me right now, what are my thoughts, what are my emotions in the body. We all have them. We haven’t necessarily been trained on them. But when someone is saying something to me how much of that is about what they’re saying and how much of that is really about what’s going on for me. So, with all of this, we really need to start with ourselves, and especially with caring personally, to start first by caring about ourselves first. I think it’s something we all need a little more practice with and I’m happy to continue that conversation on how we can do that. But I think, first, start with ourselves knowing that this is hard for everyone, and so, that little changes, even little reframes, curiosity rather than judgment, those reframes can actually go a long way. Amy, where can people go to stay in touch with you? They can in terms of Radical Candor, they can go to radicalcandor.com. I’m on Linkedin. I am on Twitter as well @AmySandler. If they want to email me, they can email [email protected] and we’d love to hear from your audience.